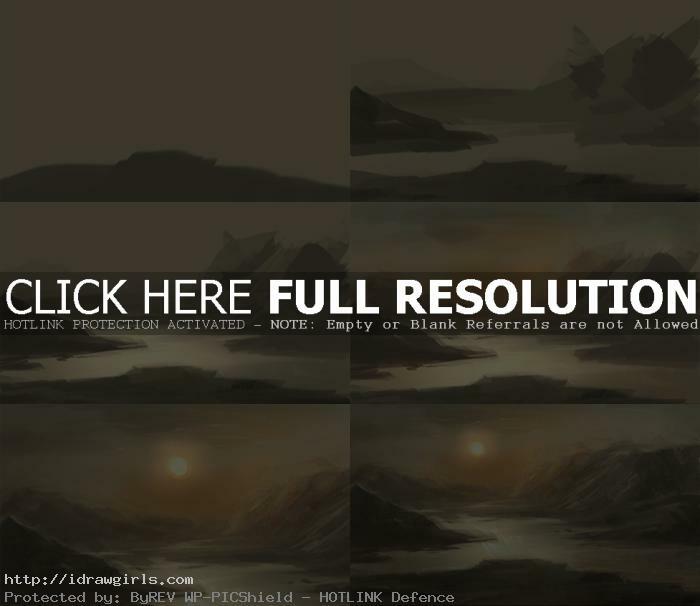 Basic digital painting tutorial water landscape. This tutorial is a very basic step by step how to paint reflection of water for landscape digital painting. 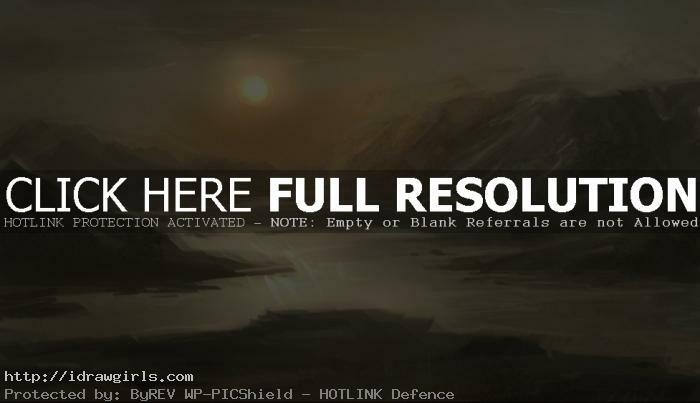 This art tutorial will show you how to paint basic water and mountains landscape environmental concept scene using Photoshop and Wacom tablet. This step by step and video show you from lay down the basic shapes and values, blocking in shape, assign colors for painting to create early conceptual painting and refining detail for the final concept painting. Basic definition of digital painting, digital painting differs from other forms of digital art, particularly computer-generated art, in that it does not involve the computer rendering from a model. The artist uses painting techniques to create the digital painting directly on the computer. All digital painting programs try to mimic the use of physical media through various brushes and paint effects. Included in many programs are brushes that are digitally styled to represent the traditional style like oils, acrylics, pastels, charcoal, pen and even media such as airbrushing. This tutorial is very suitable for those who just begin digital painting because of its simplicity and how it only deal with basic shapes and forms without involving a lot of complex custom brushes. Here is a very basic painting of water landscape. Below are step by step how to paint water and reflection for landscape. Step one, I just start with one simple shape using dark gray. Step two, I painted two more blotch of paints and leave the middle area for water. The further away the rock (coast) the lighter value it will be. Step three, I lighten up the water part using either dodge or painting white over with soft brush on overlay. Step four, I then paint some additional atmosphere color for the sky. Step five, I added the sun and paint some detail on the rock. Step six, finished it up with more rough detail. Done! More digital painting tutorials with videos.